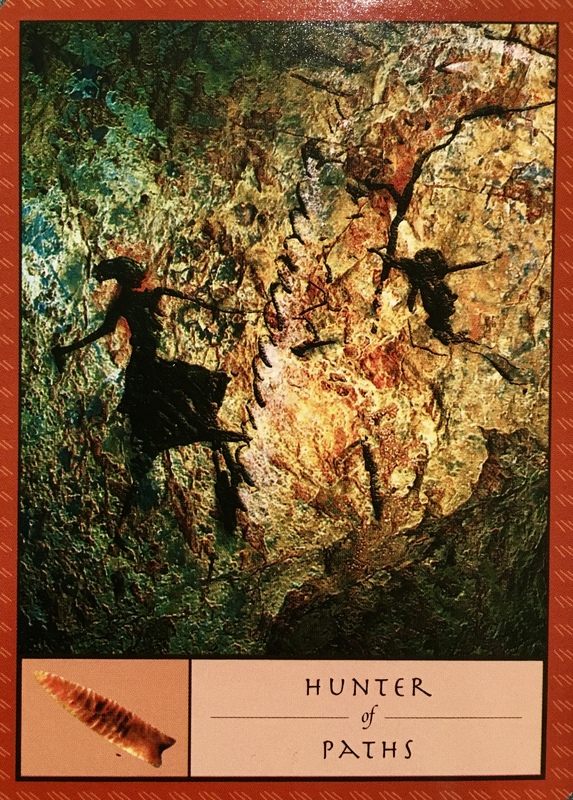 If you are feeling a little lost on your new journey, if you are trying to find your way, but you just need a little assistance, The Hunter Of Paths is here to help. Almost as old as the Earth herself, our Shaman understands the quest of the spiritual warrior is not always an easy road to travel. But you have already started your mission, and there is simply no turning back now. Even if you have been slow to start, things are shifting and changing around you. Nothing will ever quite be the same. But there is nothing to fear here either. Embrace the mystery and enjoy the journey for what it is; an expansion of your conscious awareness, and awakening, a learning, a remembering and a returning. You are on the right path, you are just having trouble giving yourself credit for it. As there is much healing to be done, and shedding of layers, it is easy to find yourself feeling like the victim of circumstance, looking back instead of moving forward fearlessly. Whatever draws your attention backwards now is only doing so in order to get your attention and the true and final healing necessary. Then it can be blessed and released with all other pain. Nothing can stop you now. You are on the right path. Some days will be slow going; others will be breezy. Some days will be stormy and dark and a little scary, but only until you break through the illusion and shine your light into the dark corners. Each step of the way you will become a new person, a wiser and more centered, grounded and loving person. And one day, you will realize that all along your journey, this path has been leading back to you.